Carpet comes in a wide variety of styles, fiber compositions and color choices. Technology produces multilevel loops and cut-loop patterns; instead of the days of selecting only conventional loop pile, a carpet style consisting of yarn in uncut loops. New patterns allow for diamond, bow, pin dot or fleur-de-lis designs which pop-out sculptured effects. Carpet textures, colors, and patterns can complement or contrast with the patterns of your furniture and window treatments. A great way to provide interest and pizzazz without going to a multicolor, overall pattern, is by using a solid color, textured carpet. Textured styles fits well with the active and casual lifestyles of today. Cut pile: Still a popular construction, cut pile achieves its durability through the type of fiber used, density of tufts, the amount of twist in the yarn. The highly twisted yarn holds its shape longer, and is a perfect choice for high-traffic areas. • Textured Plush-Most decoratively versatile. Textured surfaces hide footprints and vacuum marks. Adds casual beauty to any room. Preferred style for busy households. Is a great "whole-house" carpet. • Saxony-Refined surface. Works will with traditional interiors. Ideal for living rooms and dining rooms. • Friezé-Forms a "curly" textured surface as the yarns are extremely twisted. Has an informal look. Minimizes footprints as well as vacuum marks. • Plush (Velvet)-Has a dense luxurious feel. Shows footprints and vacuum marks easily. Best for low traffic areas and formal rooms. Level loop pile: The loops are the same height, creating an informal look. This carpet style generally lasts a long time in high-traffic areas. Many of today’s popular Berber styles are level loop styles with flecks of a darker color against a lighter background. This is a good choice for contemporary to cottage furnishings. Multi-level loop pile: This style usually has two to three different loop heights to create pattern effects. It provides good durability and a more casual look. Cut-loop pile: Combines cut and looped yarns. Provides a variety of surface textures, such as sculptured effects of squares, chevrons and swirls. The multicolor effects hide soil and stains. Olefin (polypropylene): Olefin features include its inherent and permanent resistance to water-based stains, its colorfastness and resistance to static electricity. As Olefin is resistant to moisture, it makes it indoor/outdoor carpet’s primary fiber. Polyester: Features of Polyester include its luxurious soft “hand’, inherent/permanent stain resistance, and its ability to produce bright colors. Other features includes good abrasion resistance, fade resistance, and cleanability. Wool: A natural fiber noted for its luxury and performance. Its features include soft “hand”, high bulk, color variety and inherent flame retardant characteristics. Carpet comes in almost every imaginable color. It is a personal choice. Carpet is the foundation of your room’s décor, since it covers so much living space. As a neutral color, it can blend in with fabrics and other of the room's surfaces; it can be a vibrant focal point of the room as well, reflective of your style. Beige carpet can make a room look spacious. If wanting a bolder statement, look for common colors in your draperies and furniture, by choosing a similar hue. Blues, deep greens, rosy quartz and stony neutrals, environmental colors, are increasing in popularity. In a room that lacks light, warm colors can turn up the heat. For a calming effect, cool greens and blues. To make a room seem larger, try lighter colors. For cozier rooms, choose darker colors. Stain and soil resistant technology makes lighter color carpet easier to clean. Good for hiding soil in your home's high traffic areas are medium and darker colors, tweeds and textures. The basic performance of the carpet is determined in the type of fiber used in its construction. Quality can be enhanced by the way the fibers or yarns are twisted and heat set and by the density of the tufts. Deep pile height that's densely tufted has a luxurious feel. Pile height is a matter of personal choice and doesn't denote durability. There are rating scales to help in carpet selection. Selecting the right carpet cushion will provide warmth and buffer noise. Firm and resilient carpet cushion is necessary to form a good carpet foundation, to increase its comfort and extend its life by acting as a shock absorber when walked upon. The cushion, or pad, buffers sound, and provides increased insulation making a room quieter and warmer. When selecting cushion, the carpet manufacturer's requirements for thickness and density should be checked. Improper selection of carpet cushion negatively affects the carpet appearance, causing wrinkling and buckling, and separation of the carpet seams. It can cause a breakdown of the carpet structure itself. Improper cushion selection may also void any applicable carpet manufacturer's warranties. 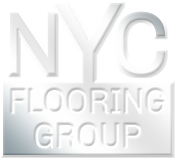 For most residential carpet applications, a general rule is to choose cushion no more than 7/16" thick and no less than 1/4" with 6 pounds per cubic feet density. If the carpet is a Berber or a low profile carpet, choose a cushion no more than 3/8" thick with 8 pounds density. Carpet cushion is made primarily from polyurethane foam, fiber or rubber and is available in a variety of styles and constructions to fit your needs. The thickness and type of cushion you need varies according to traffic levels and patterns. Bedrooms, dens, lounge areas and other rooms with light or moderate traffic can use a thicker and softer cushion. Living rooms, family rooms, hallways, stairs and other heavy traffic areas require thinner, firmer cushion. Residential cut pile, cut-loop, or high-level loop carpet requires a resilient, firm cushion with a thickness of 7/16" and no less than 1/4" with 6 pounds per cubic feet density. Types of cushion may be various polyurethane foams, including the very common bonded foam product often referred to as"rebond," fiber, or rubber. Carpet provides an added measure of warmth and insulation that guards against extreme heat or cold, which is an important benefit in our energy-conscious world. It's warmer to sit or work on, providing more stable temperatures for foot and leg comfort near the floor. When the insulation value is important, the carpet's label may offer an "R-value," and a cushion label may offer one, as well. When the carpet R-value is not available, it is suggested that you multiply the total carpet thickness measured in inches by a factor of 2.6 to approximate the carpet's R-value. The R-values are additive for any combination of materials. For example, a combination of carpet with an R-value of 1.3 and a prime polyurethane cushion with an R-value of 1.6 will yield an overall R-value of 2.9. For its ability to provide warmth and style to a room, absorb unwanted noise, provide firm traction, carpet has gained a reputation as the floor covering of choice for aging adults living on their own or with their families. Safety: A top consideration for older individuals is safety. They seek a stable, slip resistant walking surface that protects them from "slip and fall" accidents. Carpeted surfaces are significantly more effective at preventing slips and falls than hard, smooth surfaces. When accidents do happen, they tend to be less severe on carpet. For individuals who use braces, canes or walkers, maintaining balance can be less difficult with low pile carpet combined with an extra firm cushion. Carpet also reduces or eliminates reflected glare, which minimizes disorientation and reduces leg fatigue associated with walking or standing on hard surfaces. Healing colors: Studies have shown that color has psychological effects on moods. Blues, greens, teal, mauve, coral, peach and warm neutrals are often chosen for their soothing effects. Avoid "hot" tones such as red, which may raise blood pressure for some, and yellow, which may cause nausea and anxiety to someone who already is not feeling well. Noise reduction: Lack of privacy and unwanted noise can challenge seniors, who appreciate their independence and may not be used to noise levels created by visiting family members. Carpet with an attached or separate cushion is the most effective way to control noise and minimize sound indoors. Comfort and warmth: Older adults, whose feet and ankles are susceptible to temperature changes, will stay warmer on carpet due to its natural insulating properties. The surface temperature of carpet is substantially higher than that of hard surfaces due to pile construction, which acts as an efficient thermal insulator. Carpet can be wrongly blamed for contributing to asthma and allergy and for emitting high levels of volatile organic compounds (VOCs). Studies have shown that carpet is better at trapping allergens than hard surfaces, such as tile or hardwood, because carpet fibers catch particles and allergens that fall to floor. When allergens are trapped in the carpet, they cannot circulate in the air for you to breathe. New carpet may also have a "new carpet smell." Scientific studies show that new carpet is one of the lowest emitters of VOCs into the indoor environment. In fact, carpet emits less VOCs than other products, such as paint. Further, these emissions clear very quickly. The low-level VOC emissions and the harmless odor from new carpet dissipate within the first 48 to 72 hours after installation - even sooner with open windows or doors. In fact, Green Label carpet program has such a positive impact on the indoor environment that the American Lung Association approves its use in its Healthy Homes programs. If you are concerned about asthma, allergies or VOCs, be sure to ask about Green Label and Green Label Plus carpet, cushion and adhesive options.